Web 2.0 applications (such as blogs, wikis, and group messaging) have been widely adopted by organizations to enhance the effectiveness of internal communication and improve knowledge management within the organization. However, predictors that impact Web 2.0 continuous use within the organization and knowledge management performance have been neither well defined nor well understood in academia and practice. This paper empirically investigates the impact of hedonic and utilitarian performance on continual usage intention of Web 2.0 applications within the organization, and then examines continuance use decision impact on knowledge management performance. The authors’ results are useful in developing guidelines and strategies to increase the likelihood of Web 2.0 continuance use and to improve its positive impact within the organization. Today’s organizations increasingly depend on information technology systems to enhance inter-organization collaboration and knowledge sharing, as knowledge is an important organizational resource that is crucial for gaining a competitive advantage (Argote & Ingram, 2000). Web 2.0 applications can facilitate interactive information sharing, interoperability, collaboration, user-centered design, and have the potential to facilitate knowledge work in ways that were not possible with previous communication tools (McAfee, 2006). Consequently, Web 2.0 applications have been adopted by many organizations to enhance internal communication effectiveness and improve knowledge management within the organization (“Business and Web 2.0,” 2010). Merely adopting Web 2.0 applications, however, does not guarantee its success. Such tools need to be integrated and used over a period of time in order to achieve positive outcomes within the organization (Andriole, 2010). Despite the increased interest in and the popularity of the Web 2.0 applications in managing knowledge in the workplace, no empirical studies have investigated predictors leading to the continuance use of Web 2.0 applications in the workplace, a key indicator of the value within an organization. Additionally, no study has looked at the impact of the use of Web 2.0 applications on knowledge management performance (i.e., knowledge creation, sharing, and retention). The purpose of this paper is to develop and test a research model, based on the existing continuance use, knowledge management, and Web 2.0 literature, which investigates the effects of user experience with Web 2.0 applications on continual usage intention of the technology and the impact of its use on knowledge management performance. A set of hypotheses are proposed regarding the impact of perceived utilitarian and hedonic performance effects on continuance use of the Web 2.0 technology. 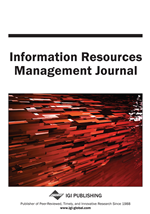 The results of this study will help organizations better understand what factors determine the adoption and continued use of Web 2.0 applications and the impact of the use of Web 2.0 applications on knowledge management performance. Additionally, the findings of the study will help us make specific recommendations to management on how to better facilitate Web 2.0 capabilities to foster knowledge creation, sharing, and retention in organizations. 1. What factors best predict knowledge workers’ decisions to continue to use Web 2.0 applications within the organization? 2. Does the use of Web 2.0 applications within the organization impact knowledge management performance? To answer the two questions, this paper empirically tests a model of continuance use of Web 2.0 applications as predicted by utilitarian performance and hedonic performance and impact of Web 2.0 use on knowledge management performance. Empirical validation of our Web 2.0 application continuance use model is based on a survey of knowledge workers in organizations. To summarize, this study has four objectives. First, we attempt to develop an expanded model of IT continuance use that is applicable to Web 2.0 applications in the context of knowledge management. Second, we study the impact of Web 2.0 application use on knowledge management performance. Third, the results of this study help us better understand the role of Web 2.0 applications and their use in organizations. Finally, findings of the study provide practitioners with insights into how to address user satisfaction and continued usage behavior of Web 2.0 applications.